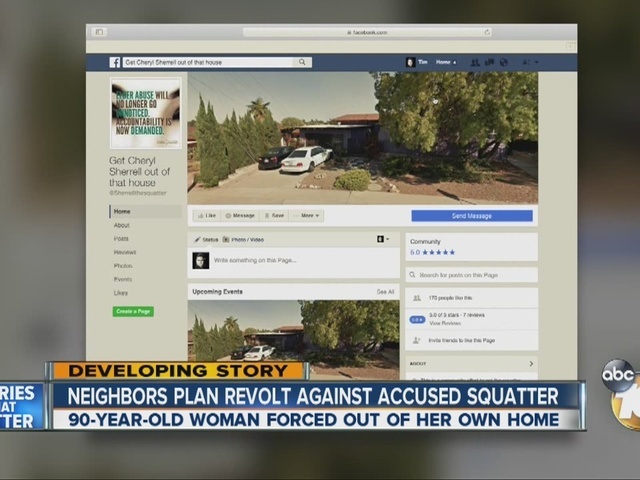 A house in the College Area is the focus of a fight between a local family and an accused squatter. 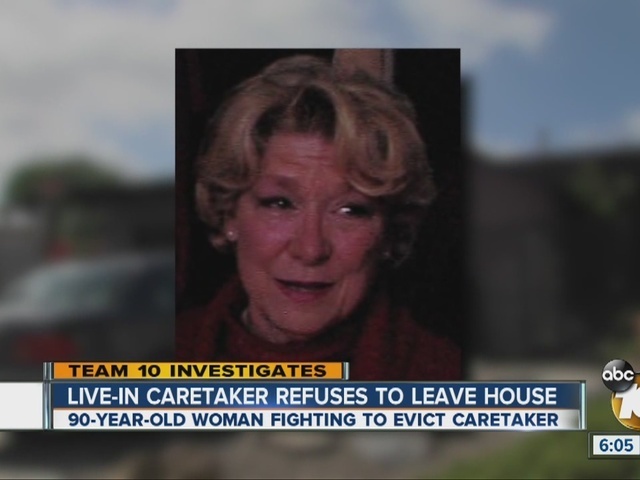 Team 10 has learned the woman living there is now trying to rent out rooms in the home. “She took off my door,” said renter Teresa Muhammad. A door pulled from its hinges, stains on the ground and junk piling up in the corners, it’s the conditions Teresa Muhammad said she lives in. She said the person responsible for the mess is her landlord. Muhammad said she moved into the house near San Diego State University last month. She said she saw an ad on Craigslist for a room to rent and the price was right. "The rent would be $450 a month, so I moved in,” she said. But, last week Muhammad saw Team 10’s investigation about the woman she identified as her landlord, Cheryl Sherrell. Sherrell was the live-in caregiver hired to help 90-year-old Fran Breslauer take care of her husband during the final months of his life. Breslauer owns the home. When her husband died, Breslauer said Sherrell refused to move out. Both women filed for restraining orders against the other person. Breslauer accused Sherrell of turning up the temperature on the hot water heater so Breslauer would be scalded. Sherrell accused Breslauer of punching and shoving her and said in a declaration filed with the court: "I need this protective order to ensure my physical and emotional safety. I feel that without a protective order in place respondent (Breslauer) will continue to take advantage of her age. However, I do fear for my safety as she is aggressive and manipulating police officers to believe I am victimizing her. She is making my life impossible." Judge Tamila Ipema granted Sherrell's restraining order. It says Breslauer can't "physically or financially abuse, intimidate, contact, molest, harass, attack, strike, threaten, sexually assault, batter, telephone, send any messages to, follow, stalk, keep under surveillance, block movements, destroy the personal property, or take any action to obtain the addresses or locations of Cheryl L. Sherrell." Sherrell moved out for a short time, but when Breslauer decided to spend time with one of her daughters in Oregon, Sherrell moved back in, according to court documents. Six months later, Sherrell is still living in the house. Both sides are waging a legal war. Sherrell's attorney claims in documents filed with the court that she has a right to live there since Breslauer had vacated the premises. Breslauer's attorney writes that Sherrell has no claim to the property and should not only move out, she should pay more than $10,000 for rent and utilities during her stay. "Mom keeps asking, 'Is it over now?' and 'Honey, can you fix this?'" And I have to tell her, "No mom, It's not over, in fact it's going be dragging on for a while,'" said Fran’s daughter Jan Breslauer. “It breaks my heart to tell her that,” she said. Jan is a lawyer and even she struggles to explain how it’s possible for Sherrell to still be in her mother's house Jan wants to change the law so something like this can never happen to another family. "If a person gets into a home and they have no right to be there the law bends over backward to assume they have a right to be there,” she said. Both parties will be back in court in November. As for Muhammad, she’s facing her own legal battle with Sherrell. In a twist, Muhammad was arrested just after her interview with 10News. She was arrested on suspicion of felony vandalism and elder abuse. She says she didn't do it.